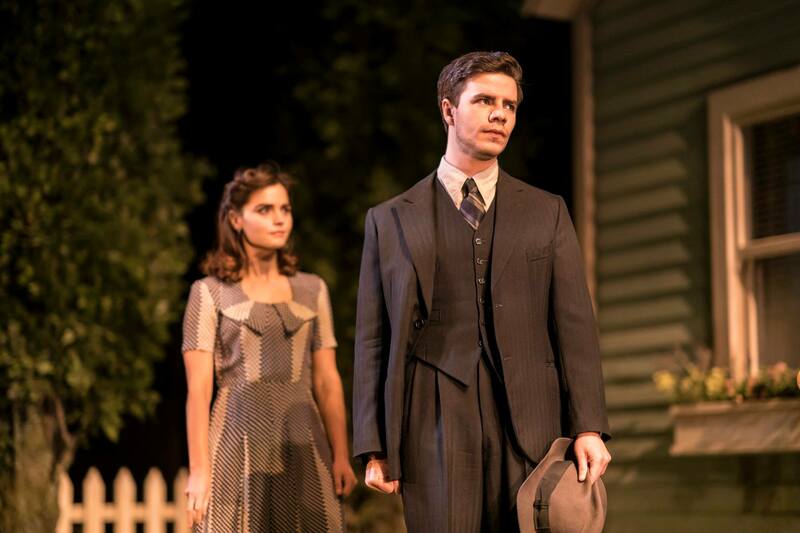 The Old Vic is excited to share the very first All My Sons production images! It’s a great gallery and the set design and the costumes look stunning. Here two images with Oliver Johnstone and the cast. More on their page. First look at the cast rehearsing in All My Sons! 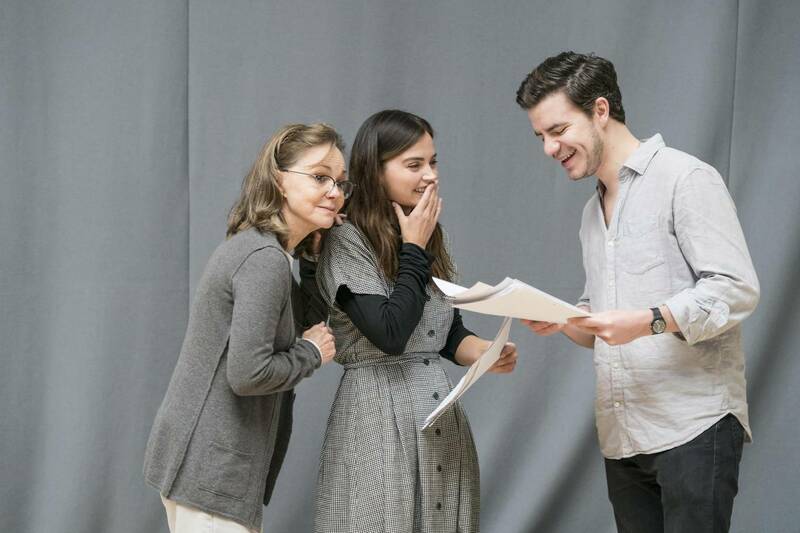 First look at the cast rehearsing in All My Sons at the Old Vic Theatre! 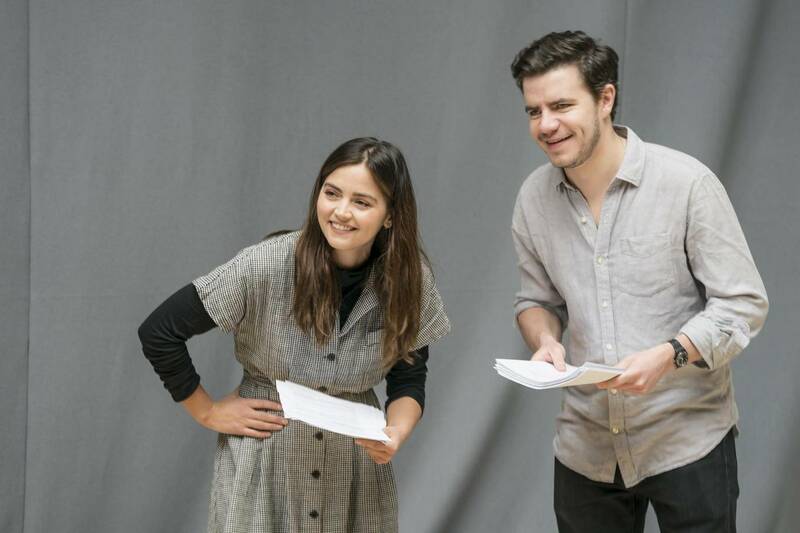 Three nice pics with Oliver Johnstone, Sally Field and Jenna Coleman. See more photos by Johan Persson from Evening Standard and the Old Vic Theatre. I will keep you updated for more images. Rehearsals for All My Sons have officially begun! << Rehearsals for #AllMySons have officially begun! What a nice photo of the cast with Oliver Johnstone in the middle (but where’s Colin Morgan, tweeters are wondering?)! I can’t wait to see more photos! All My Sons starts two days earlier at the Old Vic! This play is going to be great! I’m waiting for the rehearsal photos now! 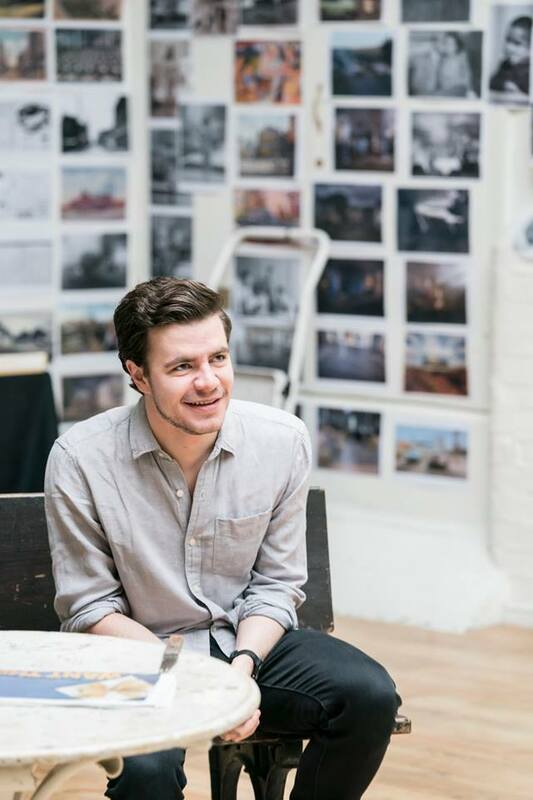 Oliver Johnstone has joined the cast of ‘All My Sons’ at the Old Vic Theatre! 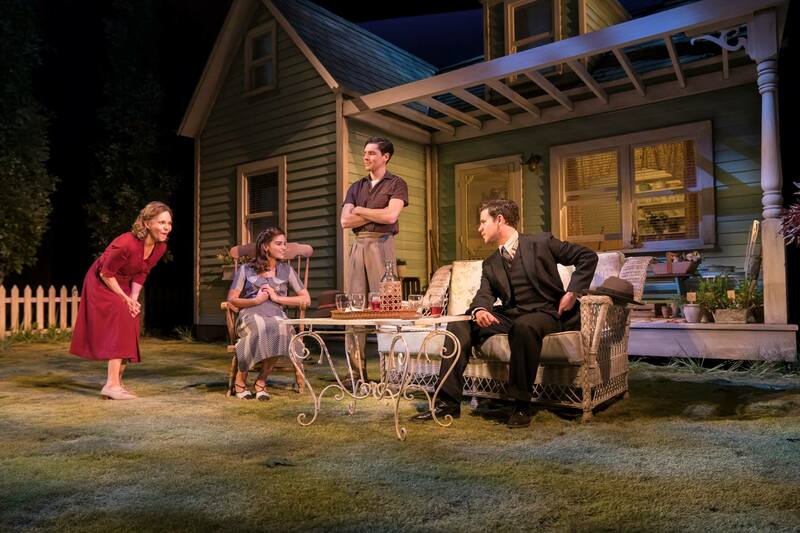 Great news today from What’s On Stage: they announced that the play All My Sons at the Old Vic Theatre will be broadcast live around the world on 14 May 2019 with National Theatre Live and, with it, the full cast! 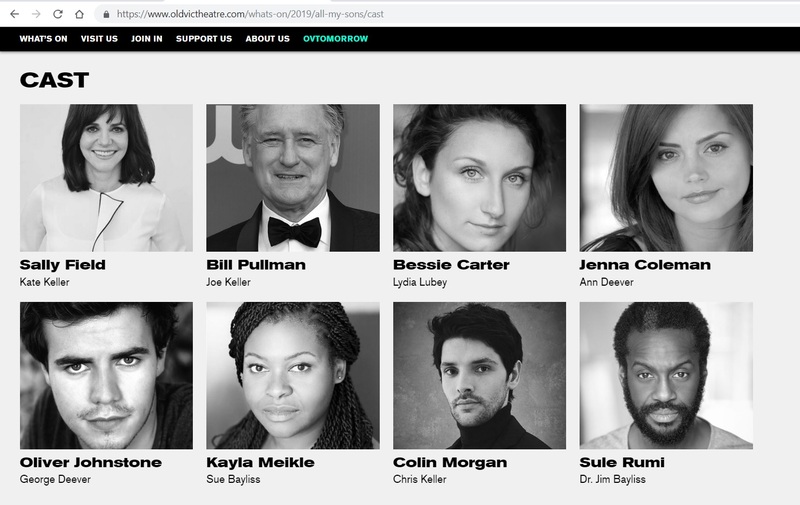 Oliver Johnstone will play George Deever and he will be part of an amazing ensemble: Sally Field, Bill Pullman, Bessie Carter, Jenna Coleman, Kayla Meikle, Colin Morgan, Sule Rumi. Arthur Miller’s masterpiece will be directed by Jeremy Herrin and it will run from 15 April to 8 June 2019. Congratulations to Oliver for his new role, it sounds like an amazing production! It’s his first time performing at the Old Vic. I’ll look forward to stuff about the play and will keep you updated. 19th Annual WhatsOnStage Awards nominations open today. You can vote everything Imperium West End! I did, that play was stunning! Oliver Johnstone, of course, got my vote for his double performance! If I could suggest Oliver Johnstone for a role (again), after the German-American photographer Horst P. Horst (see my 31th July 2015 blog), he should be cast to play the Russian Composer Modest Mussorgsky as a young artist. Can you see the resemblance in the photo below? (There at 17 in 1856). He had a tragic life, but somehow romantic and he would be a great character for a movie, a TV series or a play. He is best known for his piece “Night On Bald Mountain“, 1867, later part of the soundtrack of the Walt Disney animated movie “Fantasia“, 1940. 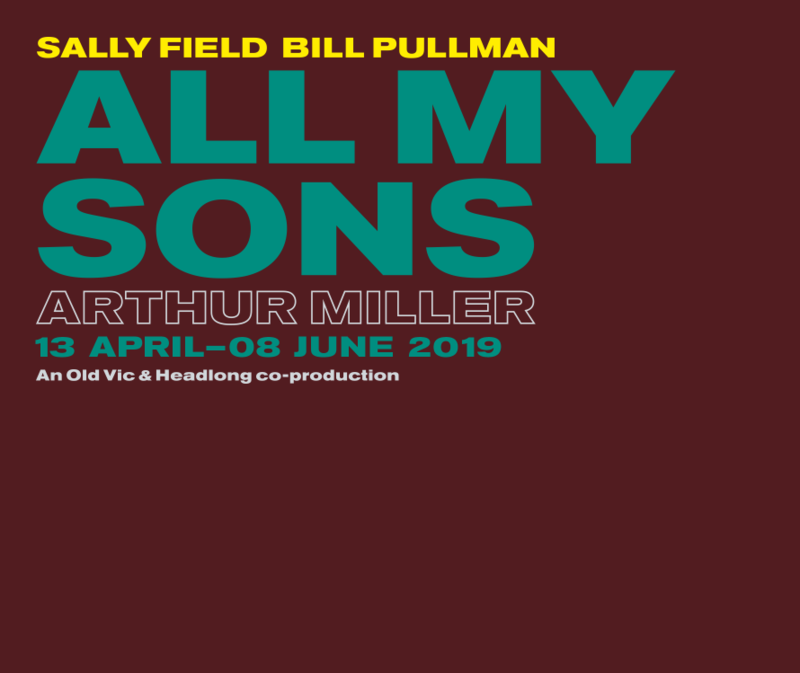 All My Sons – Old Vic Theatre, London, 15 April – 8 June 2019. Oliver will reprise his role as Edgar in RSC King Lear! Oliver Johnstone has joined the cast of 'All My Sons' at the Old Vic Theatre!